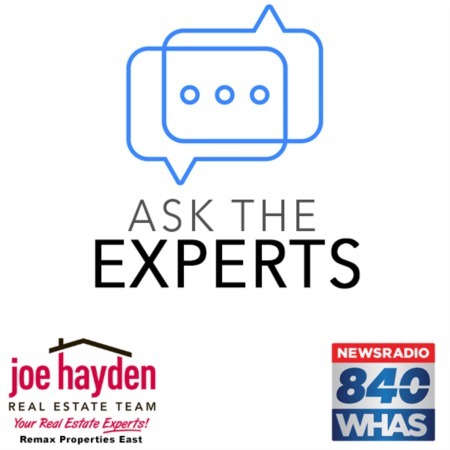 7611 Gadwall Way Louisville, KY 40218 | Home for Sale | MLS #1402062 | Joe Hayden Real Estate Team - Your Real Estate Experts! Fabulous 3 bedroom, 3.5 bath all brick home at 7611 Gadwall Way in the Bannon Crossings subdivision is located on a quiet street and is beautifully landscaped. Upgrades abound in this well maintained home! Featuring a two-story foyer and gleaming wide plank oak hardwood flooring throughout the entire first floor installed in 2012, this home offers plenty of opportunity to live comfortably with room to grow. Don't miss peeking into the entry closet to see what they have installed there! The living room offers a vaulted ceiling, tons of natural light, is very comfortable and open to both the formal dining room and kitchen areas. Preparing meals in the eat-in kitchen will be a joy. The kitchen also has a built in desk and breakfast bar. The laundry room is just off the kitchen with access to the garage, a plus for carting in bags of groceries. The deck is found off the living room as well as a beautifully laid brick patio, perfect for entertaining or enjoying a peaceful evening surrounded by the planted fruit trees of apples, pears and plums. 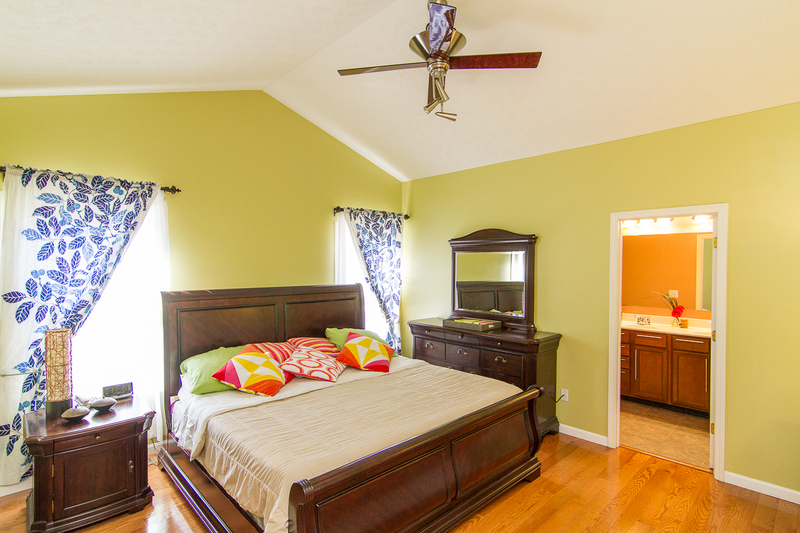 The 1st floor master bedroom is welcoming and large with a spacious walk-in closet. The en-suite master bathroom has a dual sink vanity, a separate shower and updated tile floor installed in 2012. 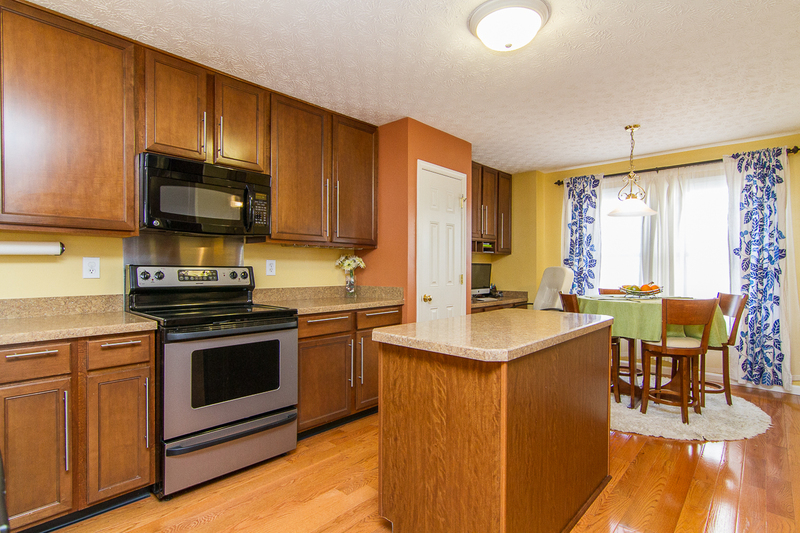 A stylish formal dining room and a convenient half-bath with new tile complete the first level. 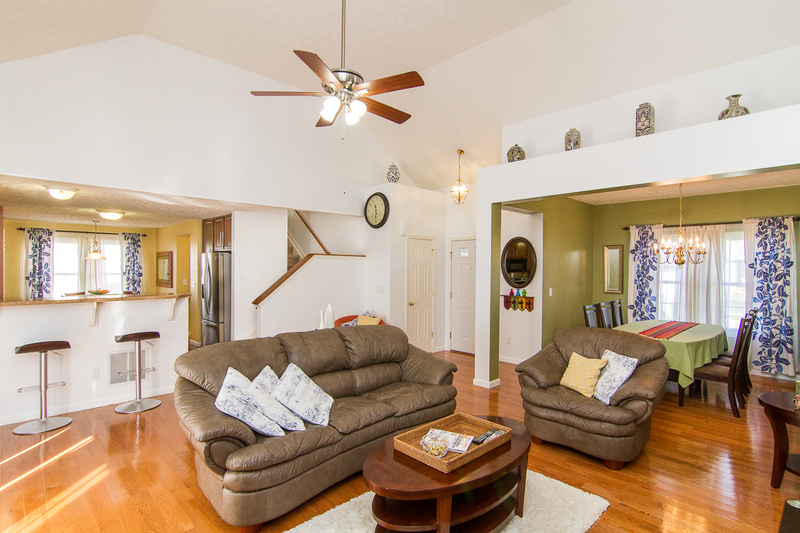 Upstairs there is a cozy loft area that can be used as a library, office, den or play area. Two additional roomy bedrooms each with their own private baths and ample closet space are also found on the second level. The unfinished basement is clean and well kept with plenty of storage space. The exterior of the home is essentially maintenance free, the roof was replaced in 2011 along with the insulated garage door. Additional updates to the home include new paint, new tile in first floor baths, customized closets, front storm door, updated cabinet hardware, new ceiling fans in the master bedroom and living room. 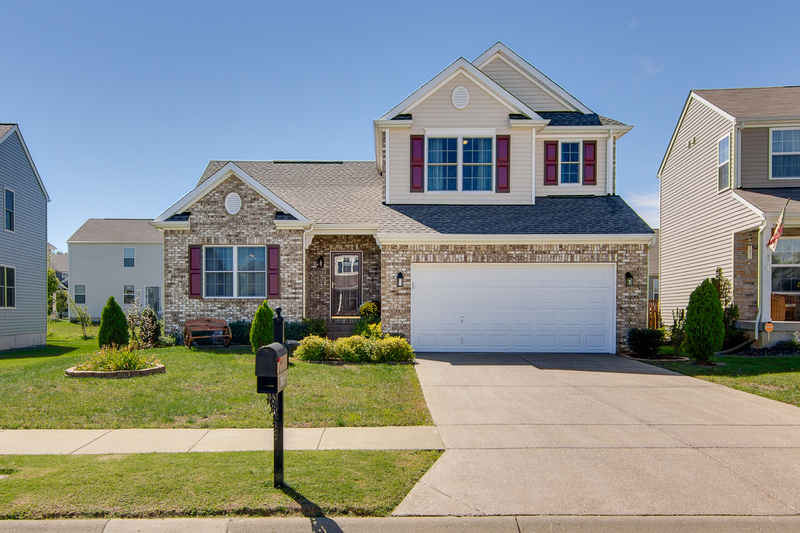 Schedule a showing for 7611 Gadwall Way in Bannon Crossing today!